Will Moses creates soft, shadowy foothills dotted with traditional white farmhouses; weathered red barns tilted haphazardly on broad patchwork sweeps of green and hay-gold fields; small clusters of black and white cows grazing placidly in the distance…it's all part of Moses Country. And, the 200 year-old farmhouse, where Will Moses has his studio, is as solidly traditional as the surrounding landscape…the white house where the legendary Grandma Moses began her career. 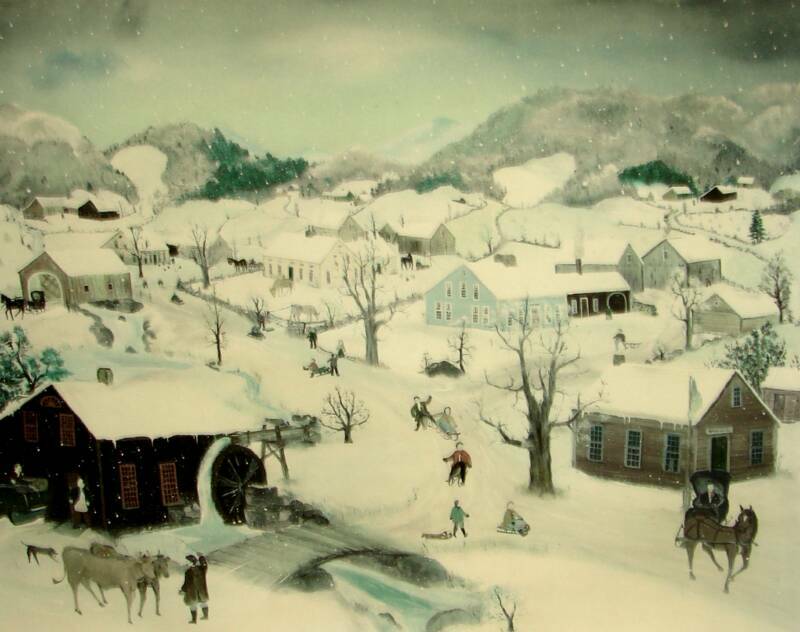 Born and raised in Eagle Bridge, New York, Will Moses creates paintings that reflect the quiet beauty of this tiny community nestled close to the Vermont border. Will has created a vivid, delightful miniature world, peopled with villagers who have stepped out of the past to charm us with their simple, everyday pastimes. Will Moses has had several well acclaimed exhibitions of his work in the United States, Canada and Japan. The Japanese are enthusiastic collectors of Will's art and Will has personally toured Japan with an exhibition of his work there. In North America, Will continues to make appearances at art galleries and folk art shows, meeting friends, collectors and admirers of his work. 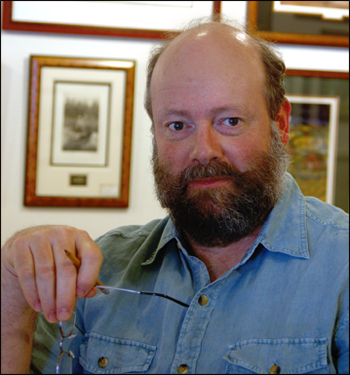 Recent public exhibitions of Will's work have taken place at the Cahoon Museum of American Art, The Everson Museum, The Bennington Museum, the North Shore Art Gallery and the President Ford and Reagan Libraries. 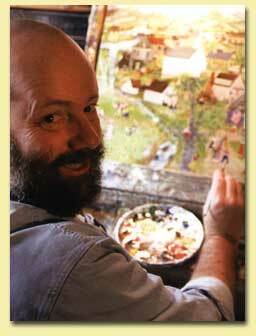 Will continues his work illustrating and writing children's books. Philomel Books/Penguin Books for Young Readers, have now published seven books to date: Silent Night, The Legend Of Sleepy Hollow, Rip Van Winkle, Johnny Appleseed, Mother Goose , Hansel and Gretel and The Night Before Christmas and most recently Raining Cats and Dogs. The fall of 2009 will mark the release of a ninth book, Raspberries, a whimsical book written by story teller Jay O'Callahan and illustrated by Will. Raspberries is a tale of one young man's misfortunes, kindness and eventual success and the cast of colorful characters he encounters along the way. Will's work remains in constant demand by both private and corporate collectors alike. A few of the notable collections where his paintings may be found are those of the White House, The Smithsonian Institution, the New York State Museum, the Bob Hope collection, the Herrick collection, the Bennington Museum and the J.M. Smucker Collection. Will and Sharon have three children, Jerry, Lloyd and Georgianna. The Moses family maintains a small farm at Mt. Nebo where they have chickens, cattle, make maple syrup and occasionally keep a few pigs. They manage to keep pretty busy most of the time with Mt. Nebo Gallery and farm but when time allows they still enjoy the never ending restoration of the old family farm where they live, fishing and antique collecting. Will is also an active volunteer critical care EMT and Jerry and Lloyd are both volunteer firemen. Bio and Photos from Will Moses' website (http://www.willmoses.com) that features many more of Moses' works of art.